Two Indianapolis teens were blindfolded, kidnapped and tortured after their older sister reportedly stole $120,000 in cash, some 4,000 OxyContin pills and a kilogram of cocaine from her allegedly drug-dealing boyfriend. According to the Indy Star, on March 2 around 2:30 a.m., three men with pistols kicked in the door of the teens’ family’s home, demanding the loot, valued at $250,000 total, that 27-year-old exotic dancer Whitney Blackwell had reportedly stolen from her boyfriend, John “Jay” Thomas. An affidavit obtained by MLive (pdf) alleges that Thomas, 38, sent the men to retrieve his stolen goods. 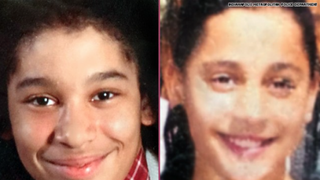 When Blackwell’s mother told the intruders that she didn’t know of any money or drugs, the men took Blackwell’s sister, 13-year-old Emma, and their brother Aaron, 16, to hold for ransom. According to the Indy Star, the teens were zip-tied, blindfolded and thrown in the back of two separate SUVs. The men allegedly stole the mother’s phone and then drove off with the children, who were held captive and tortured for 24 hours before police rescued them. Aaron, who was wearing only a bathrobe when he was kidnapped, told investigators that he was asked several questions he didn’t know the answers to, and that each time he failed to give the men the answer they were looking for, they cut his fingers. Aaron added that the men called his older brother trying to find Blackwell and threatened to cut off his fingers. Police interviewed Blackwell later that same day and tracked down Thomas, who would tell police, “I don’t know where those kids are,” according to the Indy Star. Police used Thomas’ cellphone to track down the SUV carrying Aaron. Police arrested two men who had driven the boy to Detroit and found Aaron, whose hands were bleeding, inside a luggage compartment. Aaron was rushed to the hospital, where he received stitches to his fingers. Emma, dressed only in pink-and-blue pajamas at the time of the abduction, was driven from Indianapolis through the states of Indiana, Michigan, Kentucky and Ohio, according to the affidavit viewed by MLive. She told investigators that she was taken from her home and driven to Detroit, where her captors gave her to a man and woman who then drove her to Kentucky. She said that the man and woman would later drop her off at a Taco Bell in Ohio, giving her $200 and telling her to catch a cab home. There were no reports on whether Emma suffered any injuries during her ordeal, but police were notified shortly after she returned home. “Five people have been detained, including Thomas, and charged with conspiracy to kidnap,” according to the Daily Mail. The teens’ sister Whitney Blackwell faces drug-dealing charges and remained in Marion County Jail. According to the Indy Star, Blackwell maintains that she only stole $43,000, which she planned to use to purchase a car and take care of her 6-year-old son. Blackwell’s mother told the newspaper that she doesn’t believe her daughter is sorry for the ordeal her siblings went through.